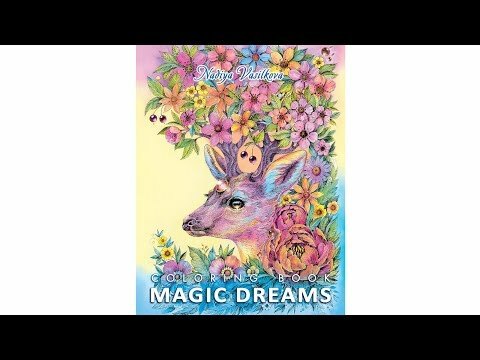 The coloring book “MAGIC DREAMS” I created this book for my Amazon customers. Thus, more people will have the opportunity to buy and color this book. In this book, there are traditional for coloring books drawings with a contour line. Also, there are pictures in my style – pointillism. In this book, there are drawings with beautiful portraits of women, beautiful animals and flowers. All these themes are very popular with colorists! I recommend viewing the contents of the book before making a purchase! Let me remind you that in these editions the paper is intended for work with soft colored pencils. I will be glad to see the results of your coloring in social networks.